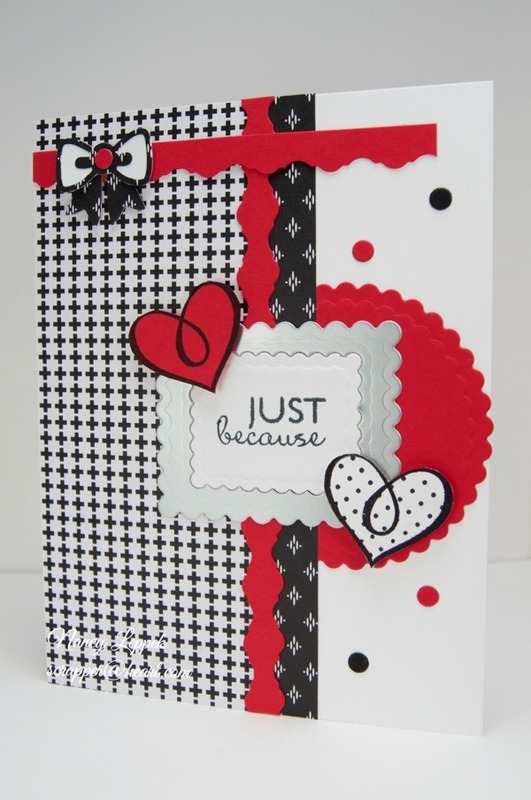 Great card and you certainly got the layout of the sketch well done too! I like yours with the hearts as well. So pretty. Love the red and black color combo. I could see this as a masculine card for a special someone. The red and black as well as the pattern paper you used, tend to look like it could. You did really get the sketch down with this card. Love the extra strips that you put in along with the hearts. 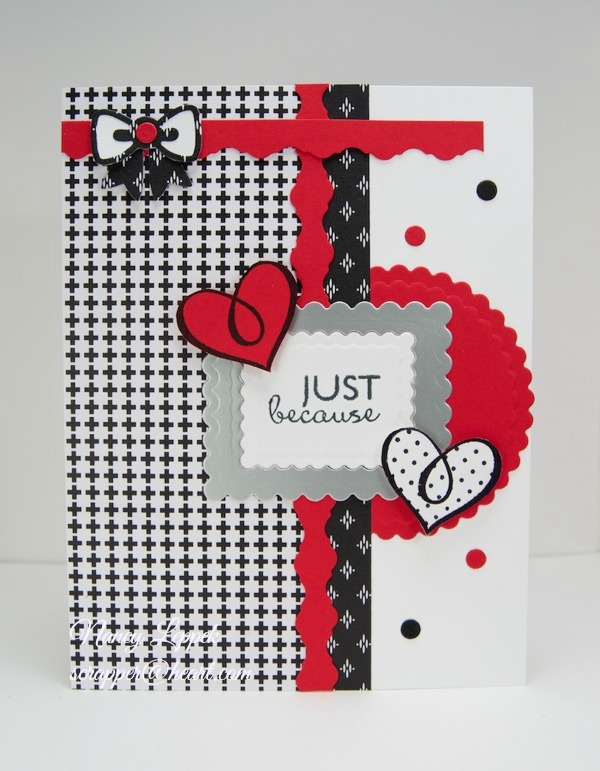 I adore black, white and red…..your card is just beautiful and what a fantastic Sketch! Just FAB! I am loving this one. The colors are dynamite together…..beautiful design too!